Ice Cream Sandwich has been a big hit with users, and many just can’t wait for ICS to land on their devices. Unfortunately, the waiting list is a pretty long one for devices that don’t have it already, and most are depending on the likes of CyanogenMod and leaks to get their fill of ICS. permission in the Android operating system, this can never be fixed by me! The launcher comes in both free and paid versions. 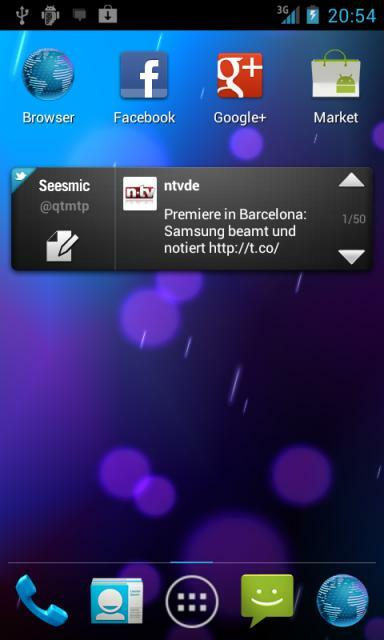 In the free version, you’re limited to 3 home screens and the dock bar of ICS along with some other fun features. It’s a little stripped down, but it definitely gives users the feel of ICS without actually having it. The installation method is also a little complicated, and requires users to put the .Apk in the in /system/app before using, otherwise it will cause problems. For anyone who wants to try it out, you can find all the details, the installation method and screen shots in the original thread. Don’t forget to make a backup, just in case.